The Department of Labor (DOL) recently released a proposed rule change that could make more than a million more Americans eligible for overtime pay. The proposed rule would change the salary level for those employees counted as “exempt” and not eligible for overtime pay. If the proposed rule becomes final, employers may have to pay their employees more to maintain their “exempt” status. The introduction of the proposed rule does not require immediate salary increases, but employers should assess employee classifications and identify employees who may be impacted if the rule goes into effect. Here’s what you need to know. The DOL’s overtime exemption rule determines whether employees are eligible or exempt from overtime pay. Exempt employees, because of their rate of pay and the type of work they do, are not eligible for overtime pay for hours worked over a 40-hour workweek. 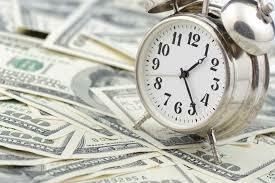 Nonexempt employees must be paid time and a half for any hours worked in excess of 40 in a workweek. Under current law, employers must pay overtime to employees with a salary below $23,660 annually if those employees work more than 40 hours per week. The DOL’s proposed increase in the salary threshold to $35,308 annually pushes the minimum weekly salary from $455 to $697 in order to be exempt from overtime pay for any hours worked over 40 in a workweek. If finalized, the proposed rule would result in the reclassification by employers of more than a million currently exempt workers as nonexempt and an increase in pay for others above the new threshold. Of course, meeting the salary threshold does not automatically make an employee exempt from overtime pay. Other considerations, including the employee’s job duties, also come in to play. In addition to scaling back the proposed threshold, the DOL scrapped the automatic adjustments to the exempt salary threshold previously proposed under the Obama administration. Instead, the DOL intends to propose an update to the salary threshold every four years to ensure that these levels continue to provide useful tests for exemption. Updates would not be automatic and would continue to require notice-and-comment rulemaking. The special rule for highly compensated employees would require workers to earn a total annual compensation of at least $147,414. The prior threshold for highly-compensated employees was $100,000. For now, the DOL will continue to enforce the $23,660 salary level, as the proposed rule must go through the formal rulemaking process. After the March 22, 2019 publication of the proposed rule in the Federal Register, it will be subject to a 60-day public comment period. Meanwhile, it’s critical that HR professionals know how to determine overtime eligibility for the employees they oversee. Martin Pringle’s employment attorneys can help navigate the complexities of those classifications.